The Flexi-Dip (FIPS) system is designed for use with a wide range of standard MMC vapor-control valves such as the B, MB, MMB and F/C50 styles. The system is specifically designed for applications areas where the escape of tank vapors during gauging or sampling is prohibited. Once the (FIPS) sampling system is attached to any existing MMC vapor-control valve, it can extract a sample in place but then requires valve closure, removal from the valve and manual dumping of the collected product. Standard sounding and tank bottom drynesschecks can also be performed by attaching sampling bobs to the snap hook on the tape end header. Flexi-Dip Restricted Sampling Tape systems are available for use with MMC’s various vapor-control valves. Restricted tapes are designed for manual sample collection, sounding and tank bottom dryness checking. Similar to the FIPS system, once the Restricted sampling unit is attached to any existing MMC vapor-control valve, it can extract a sample in place but then requires valve closure, removal from the valve and manual dumping of the collected product. Standard sounding and tank bottom dryness checks can also be performed. Accuracy of Tape Reading:+/- 1/8 inch (3mm), +/- 0.01% of F.S. tape LGT (F.S. = Full Scale). Tape Lengths: 50 ft. (15m), 75 ft. (25m), 100 ft. (30M), 120 ft. (37M) stainless steel, or up to 30M Tefzel coated anti-static treated type, for chemical applications. Typical Weights: 14 lbs. (6.4 KG). Pressure Limits: 3 psi working, 7.5 psi maximum. 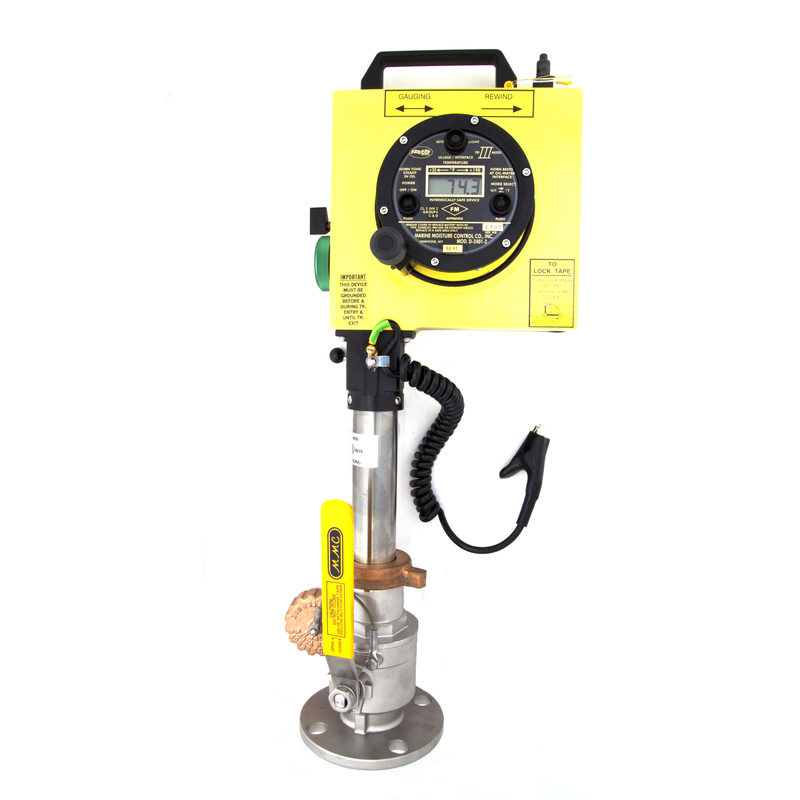 Application: R-Restricted sampling (1, 1/2- and 1/3-liter) through MMC vapor control-valve. Tape Lengths: 50ft/15mm, 75ft/22.5mm 100ft/30m, 120ft/37m, stainless steel and plastic coated.